There are stereotypes in every aspect of our lives, and these are usually fuelled by the differences between one person and the next. And while not all are negative, they may sometimes affect our ability to perform well or in a specific manner. But sometimes diversity is the base of creativity, and this is especially so in a startup. Here, we will be sharing about some local and international entrepreneurs who have shattered stereotypes to pursue their entrepreneurial passions, and have now become successful in their own right. Wee Zihuan, better known as Zwee, is the founder and CEO of Savant Degrees, who recently also introduced foodtech startup Eunoia. What many might not be aware of is that Zwee is also a Stanford University dropout. Why would one dropout from such a well-known and established university? In the paper-chase society of Singapore, one might find that hard to conceive. As noted by Zwee, “when it [came] to running a business, [he had] to think about it every single day”. Furthermore, he also managed to build “good rapport with a few [programming] friends outside of school and found that it was a pity to give [the idea] up”. Trying to balance everything was so exhausting that he simply took a leave of absence from school and never went back. 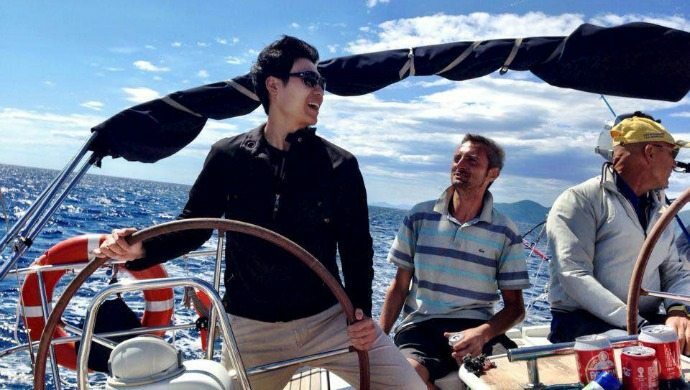 Zwee is an inspiration for entrepreneurs unsure about going all in, or who might also be considering taking a break during their school terms. He proves that even without a degree on their resume, those with a strong passion and drive will be able to succeed. Women in India are often groomed to be the perfect housewife. Anita Dongre’s own”cousins, aunts, sisters and other women in the extended family were happy being wives and mothers“, but Dongre had painted a different picture of her future – she wanted to become a fashion designer. This led to shocked reactions from her family towards Anita’s passion “and [she] was subjected to a lot of counselling, ” but she didn’t falter from her ambition, and she eventually launched her brand, AND Designs India Ltd (ADIL). Today, her “entire brand has 104 stores across the country and has been growing“ rapidly. Considering the competitiveness of India’s competitive retail industry, it is additionally laudable that Dongre was able to leave her footprints in the industry. It’s an inspiring moment to witness individuals stand against stereotypes and prove how successful they can be. Dongre not only proved to her family that she could be a successful business woman, but also to the general public that nothing is impossible if you put your heart and mind into it. Who would’ve thought that someone who failed to find the perfect chocolate cake would one day invent the ultimate one? 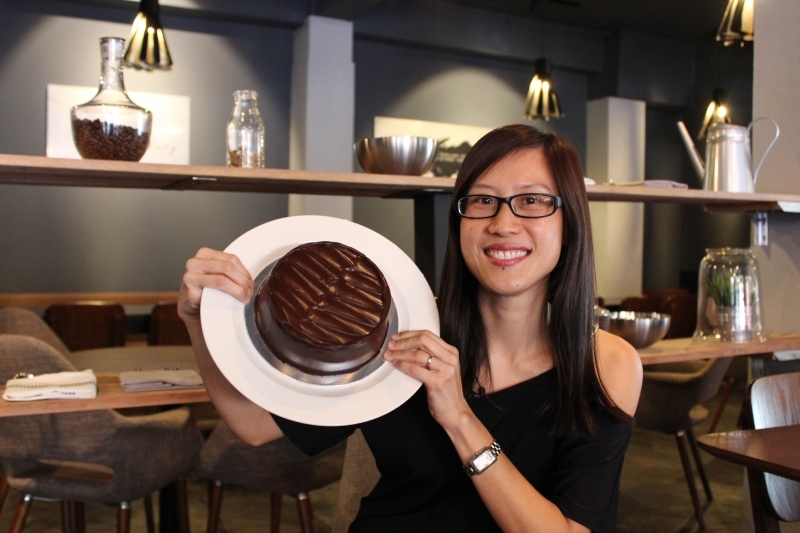 Lyn Lee is the founder of Awfully Chocolate, one of Singapore’s most well-known chocolatiers with a presence even in Shanghai and Jakarta. Some might think that entrepreneurs and founders are only out to turn a profit, and they don’t care about anything else other than making money. But for Lee, building revenue and scaling up the business was never the main goal. Instead, it was her passion that kept her going. For the entrepreneur who was once called ‘naive’, Lee reflects that, “business [was] not always about making money… I only did it because I enjoyed it, [and] I love it”. We have all heard that being a full-time mother is the toughest job in the world. No doubt it is, but what about a working mummy who handles both her personal and professional life perfectly? 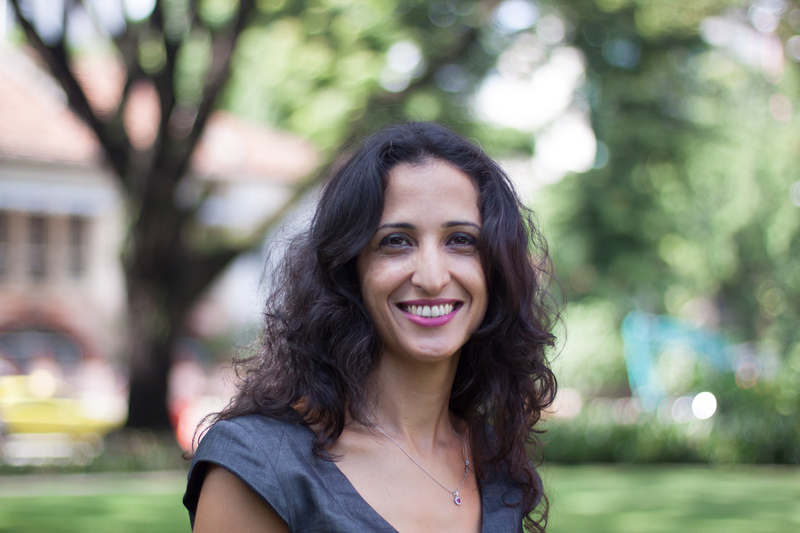 Mouna Aouri Langendorf is one of the many examples out there. 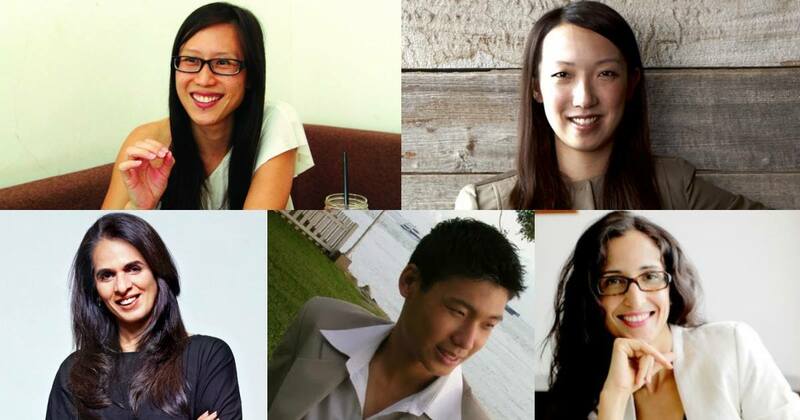 She is the founder of Woomentum, and migrated to Singapore in 2011. In an interview with Asian Entrepreneur, Langendorf noted that the establishment of the business network for women was not easy, as she had to look after her children at the same time. Despite how impossible and harrowing that balance might seem, Langendorf notes that “having kids and being an entrepreneur is wonderful“. The stereotype of the working mother who juggles both of her responsibilities perfectly might be one that seems far-fetched and impossible to upkeep, but Langendorf has clearly shattered stereotypes of mothers being unlikely to become successful in both. We hope Mauna inspires working mothers to never lose hope, and that having a child doesn’t mean having the need to give up on one’s career. Women were once deemed to not be as tech-savvy as men, but times have definitely changed now. Clara Shih is the proud CEO and founder of Hearsay Social, a dashboard helping companies manage social media accounts. 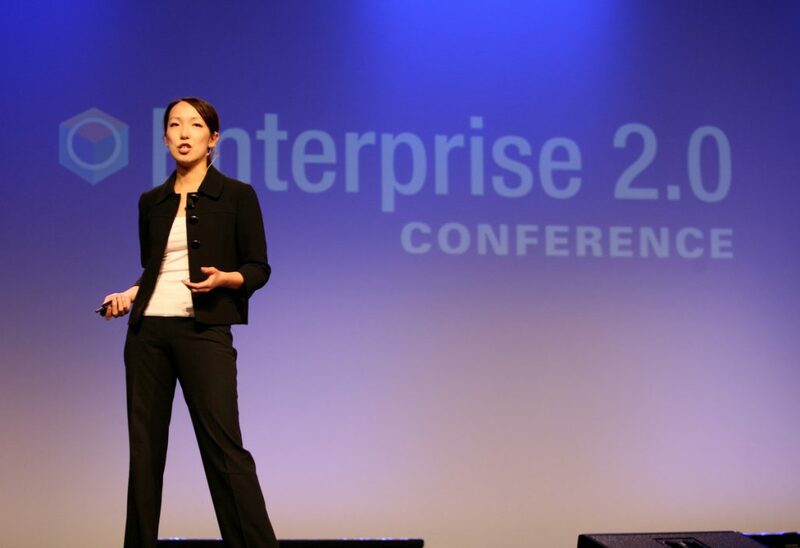 Having spoken at some of the world’s most vaunted tech conferences, Shih has spectacularly shattered stereotypes that women can’t be world-leading technopreneurs too. And in this industry, she has carved out a name for herself not just as a leader, but as a woman who shattered gender stereotypes that still persist. Technology has become the gateway to knowledge around the world, and yet there still exist inaccurate stereotypes of people around us. If we can spend more than half our lives on the Internet, why not take the time to correct these false truths? It’s time we shatter these defunct stereotypes, and focus on learning how to overcome them to reach our own definitions of success.